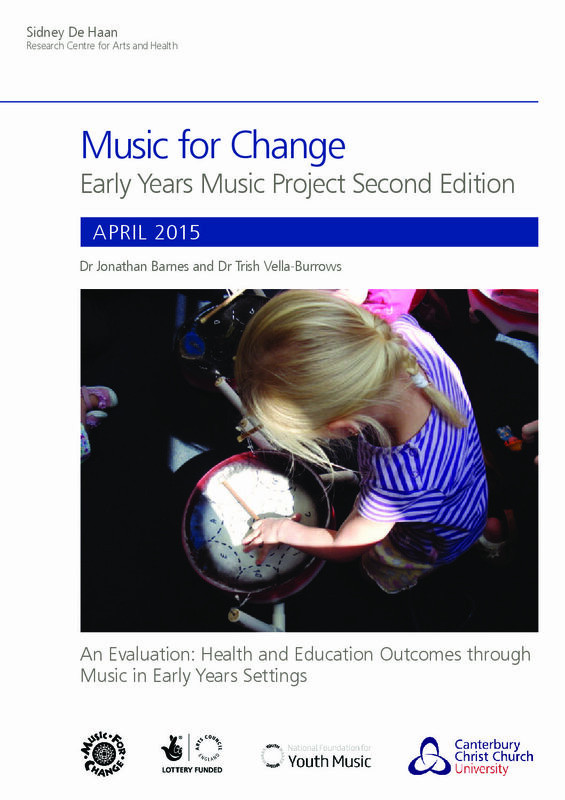 This report outlines the impact of the ‘Early Years Music’ (EYM) project in Kent to over 1450 children in 48 early years settings over 12 months. An evaluation of the work of the Military Wives Choirs Foundation. This Arts Council of Ireland Strategy sets out its plan for leading the development of the arts in Ireland from 2016-2025 and outlines a range of actions which the agency will take to deliver on its vision. 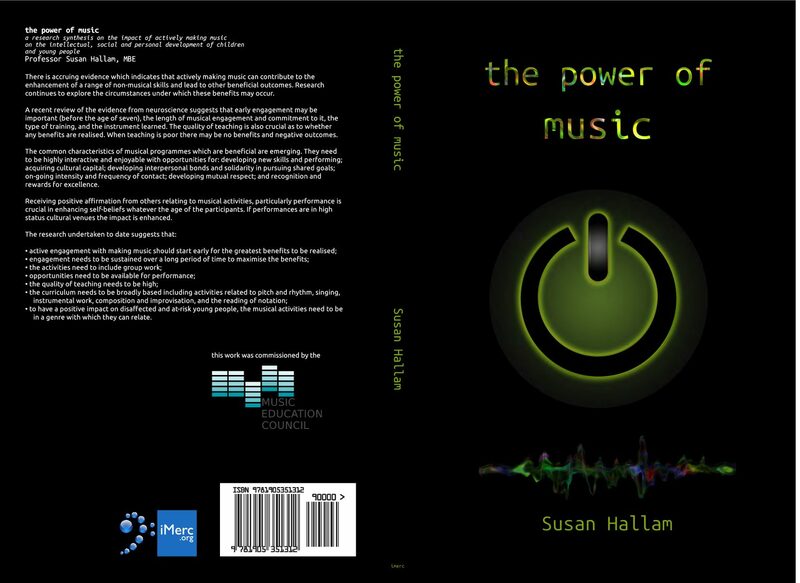 This book considers how neuroscience evidence shows that actively engaging in music making can enhance other musical skills and lead to other beneficial outcomes. This report by the English National Ballet contains findings after two years of a three year study into their Dance for Parkinson’s programme’s effects on participants. A research-based evaluation of the effectiveness of an arts project on the pupils in four schools for children with a range of special educational needs, as well as its impact on the professional artists and audience. A research-based evaluation of the impact of a multi arts programme on its participants: the patients (with a main focus on older people), the hospital staff and the artists. 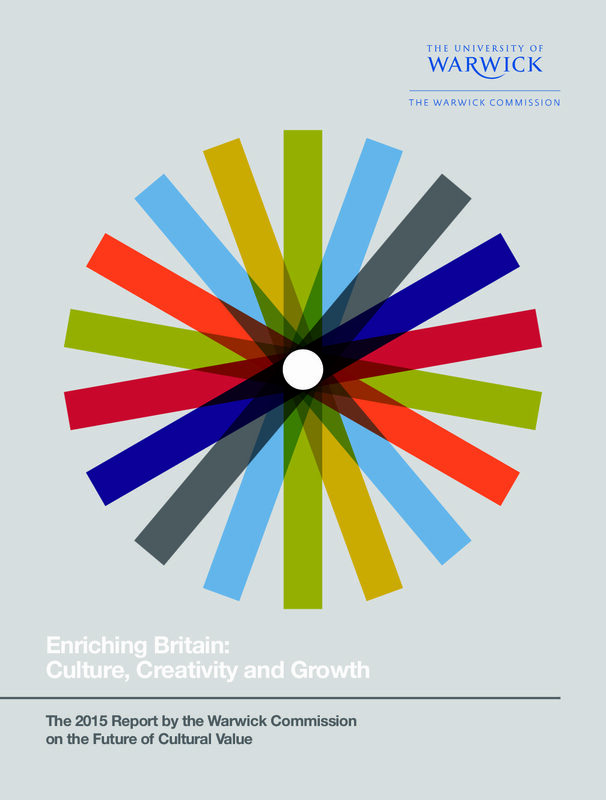 2015 report by the Warwick Commission, focusing on the future of cultural value. A systematic review by the DCMS of the current evidence base on the social impacts of sport and culture. An evaluation of the impact of a 12-week visual arts programme for 66 participants in Cambridgeshire delivered by one professional artist & one mental health counsellor, in a safe and therapeutic environment. An ‘evidence dossier’ on the value of Arts on Prescription programmes for the mental health and wellbeing of individuals and communities. This review studies the literature to provide an evidence base of 15 studies suggesting arts engagement is beneficial to health over time, leading to recommendations for future analyses. This report considers how musical interventions can be integrated into a Dementia Care Pathway. This report shows the work of partnerships between public health and third sector organisations where arts activities have been prescribed to individuals experiencing mental health challenges. A brief report examining the evidence base for the benefits of arts therapies for groups of vulnerable people. 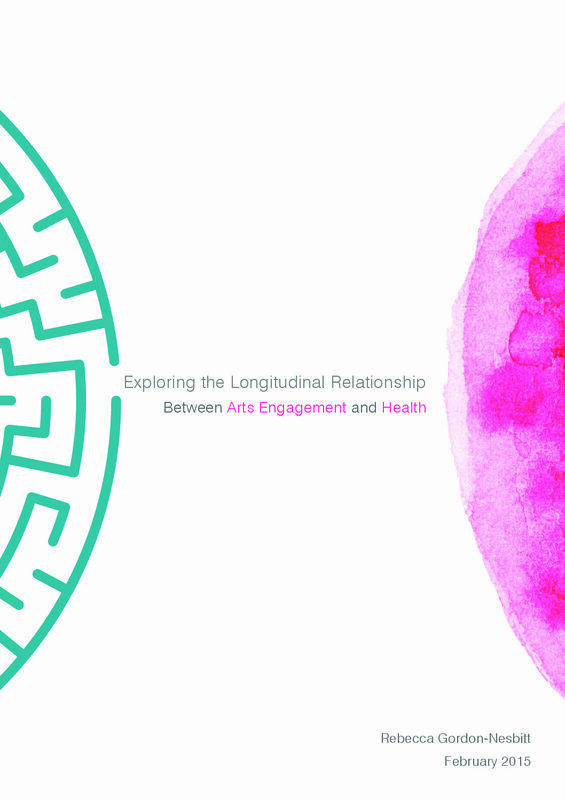 A literature review undertaken to review the evidence regarding community-based arts in health initiatives from 2000 – 2014. This report presents the findings of an evaluation of the effects of the Choir of the Year (CotY) 2014 competition on participants’ physical, social and mental wellbeing and health. Advice on the perennial problem of involving older men which many arts organisations have found challenging. This report summarises findings in identifying the social value ‘Start in Salford’ creates and in developing an approach to valuing impact. This three year evaluation and support programme focused on leaving a social value legacy for Start. Specific ideas and themes that emerged from a two-day meeting “The Nature of Creativity in the Brain, cosponsored by the National Endowment for the Arts (NEA) and the Santa Fe Institute (SFI) in 2014. This report on Social Prescribing by NHS Scotland is based on a rapid review of literature published between 2002 and 2014 and was produced in conjunction with the Self-Management and Social Prescribing National Advisory Group.